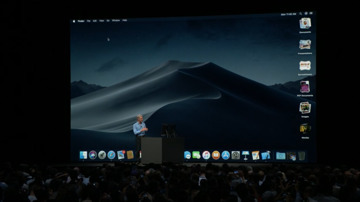 Presented at the 2018 WWDC conference, Apple's Senior Vice President of Software Engineering Craig Federighi announced the new version, and highlighted a few features of the macOS operating system, called "Mojave," due in the fall. 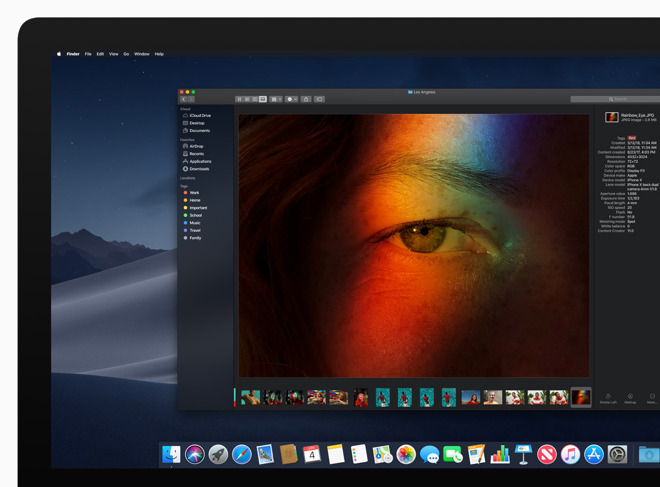 Apple's macOS 10.14 Mojave has a new Dark Mode that expands across all of MacOS Mojave including third-party apps. Federighi noted that it was a focus-enhancer for photography and design. 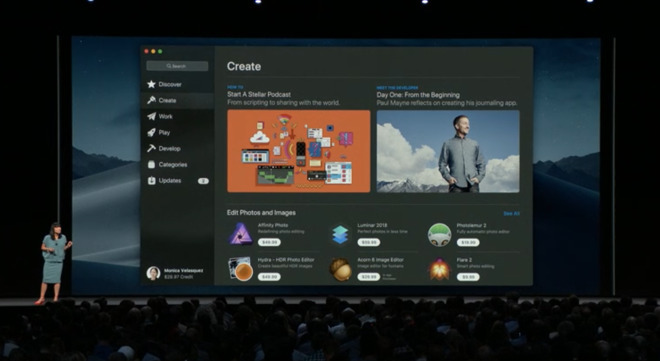 In conjunction with Dark Mode, Dynamic Desktop will change the user's UI over the course of the day. Desktop Stacks have been added, following on from stacks in the Dock, which will group all of the contents automatically by kind, date, or tag. The stacks unfurl with a single click across the desktop, and will retract after a document within the stack is opened. The Finder has a new "Gallery View" to preview images, video, presentations, spreadsheets, PDFs, and anything else that macOS can handle. A sidebar in Mojave supports full metadata, including photo EXIF information. Quick actions in the contextual sidebar the Gallery View allow for quick application of easy edits to photos. Multiple items selected can be combined into a PDF from the sidebar as well. Automator actions can be assigned to a button in the sidebar. Markup has been added to Quick Look. A new Markup button has been added, including the ability to drag a signature onto a document, to magnify areas, and all other standard Markup features. 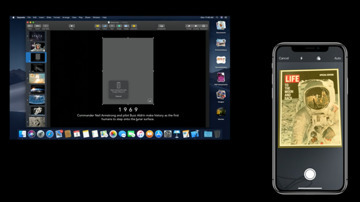 The new Screenshots utility presents the user a thumbnail of the screen capture similar to how it works in iOS 11. It can be used for either still images or videos, with the thumbnail of the captured content able to be dropped in compatible apps immediately after taking the shot, by dragging the thumbnail and dropping. 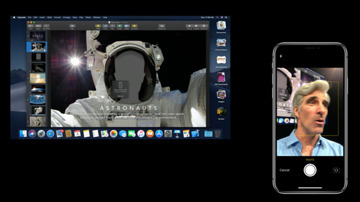 While it's not clear at present how far the feature extends, the new Continuity feature will connect to an iPhone and use the smartphone's onboard cameras to capture an image, which is then transferred back to the Mac and able to be inserted into an existing document. For example, a photograph of the user's face could be added to a collage. 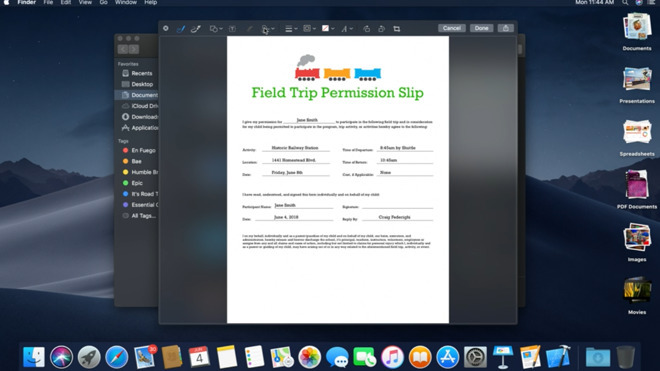 It can also be used with existing document scanning features of iOS to capture a document on a connected phone, which can then be passed to Photos on Mac. While Federighi didn't really address the inclusion much, following Sierra's release, HomeKit peripherals will be able to be added and managed on the Mac, with a similar appearance to how the feature appears in iOS. Siri controls will be implemented, allowing users to control their home automation from the Mac. Apple is refreshing the Mac App Store, bringing it in line with the interface of the iOS App Store. 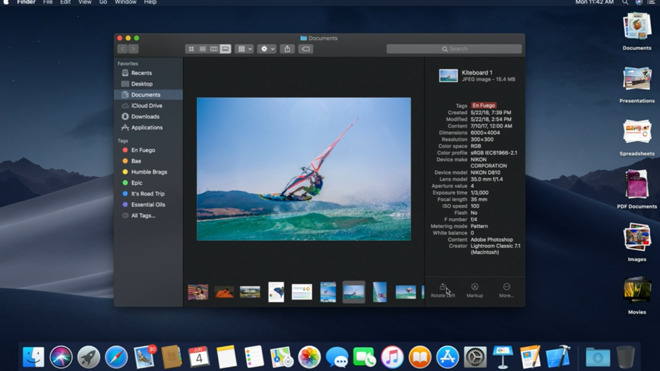 It will share Mojave's dark mode, and will have not only video previews, but a completely redesigned app page format. Ratings and reviews are "front and center" with a new API for Mac apps able to be implemented by developers to allow users to add their own reviews. .
CreateML allows developers to generate vision and learning models inside Xcode Playgrounds. 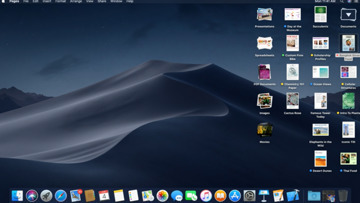 All of the training is accelerated by Metal, and will be further sped by external GPU technologies, also included in Mojave. 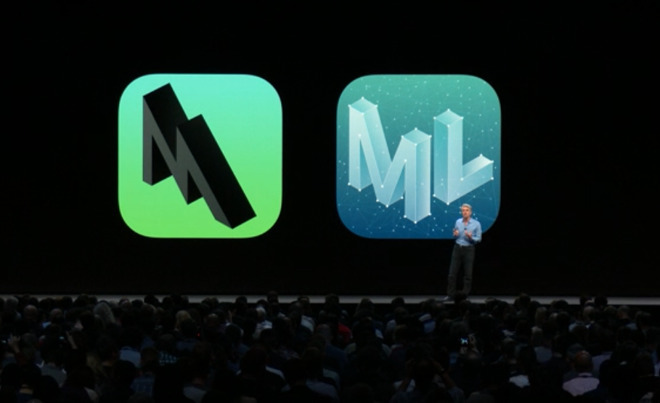 CoreML2 is used at the core of the technology, and is 30 percent faster on-device, with up to a 75 percent reduction in size of the resulting model. 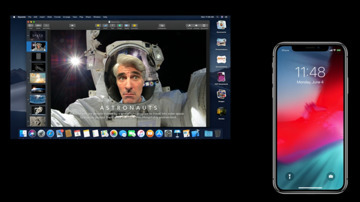 Federighi explicitly said that Apple is not merging iOS and macOS, highlighting the differences between the hardware in the Mac and on the iPhone and iPad. 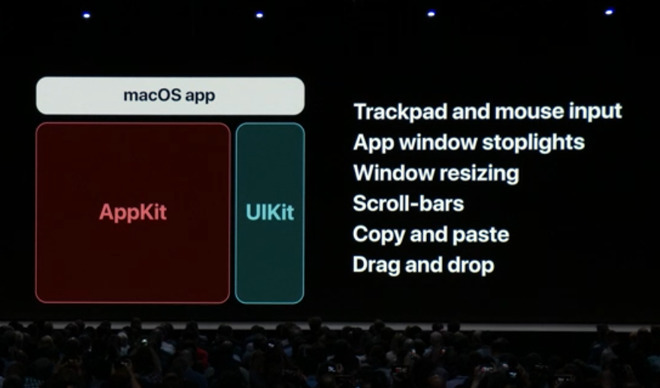 In a preview, Apple has moved over some key iOS frameworks like UIKit over to the Mac, which can allow for iOS apps to be usable within macOS. Phase one of the effort is to "test it on ourselves," according to Federighi. 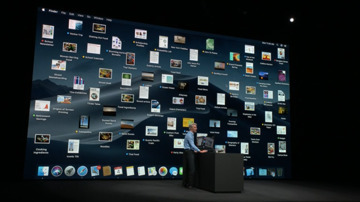 The Mac version of News and Home revealed during the keynote were built in this method, with very few code changes claimed to have been made to get the apps running. The frameworks are coming to developers in 2019, allowing for migrating iOS apps to the Mac at some point in the future. To combat tracking of users by online advertisers, Safari is enhanced Intelligent Tracking Prevention to stop social media "Like" and "Share" buttons, as well as comment boxes, from providing extra tracking data to tech companies. 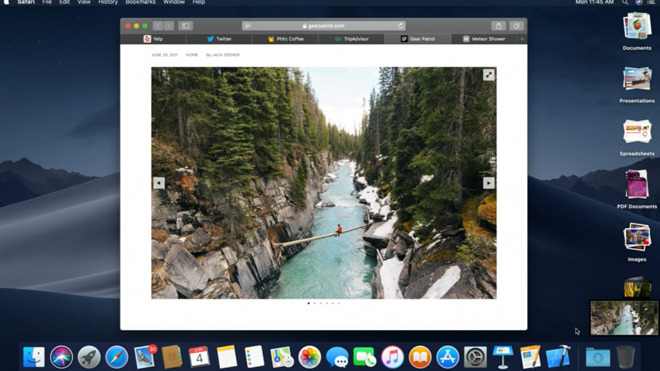 Going one step further, Safari presents simplified system information to advertisers while browsing online, making it difficult to track the user based on their system configuration. Safari also automatically creates, autofills, and stores strong passwords when users create new online accounts, flagging reused passwords so users have the option to update them to more secure versions. 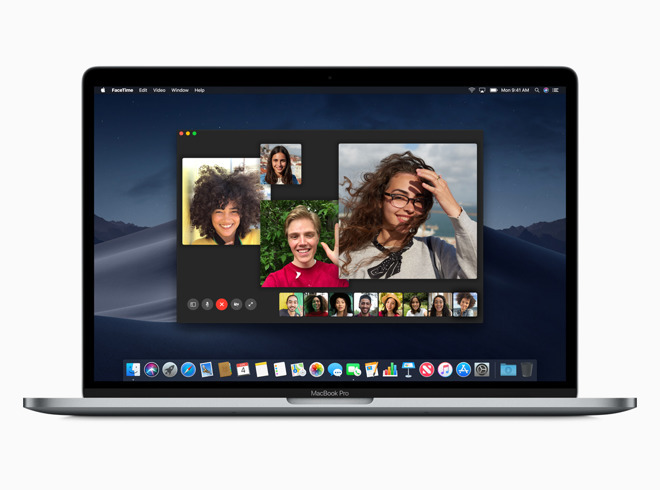 More data protections added to the operating system will require apps to gain user permission before being able to access the Mac camera and microphone, or to access personal data such as a user's Mail history or their Messages database. 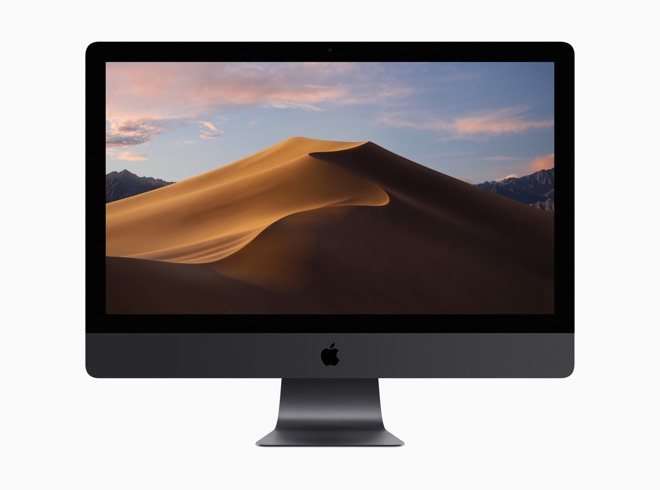 There are a series of other features coming to macOS, not the least of which is APFS on hard drives and all Fusion Drives, after having been removed during the High Sierra beta process. 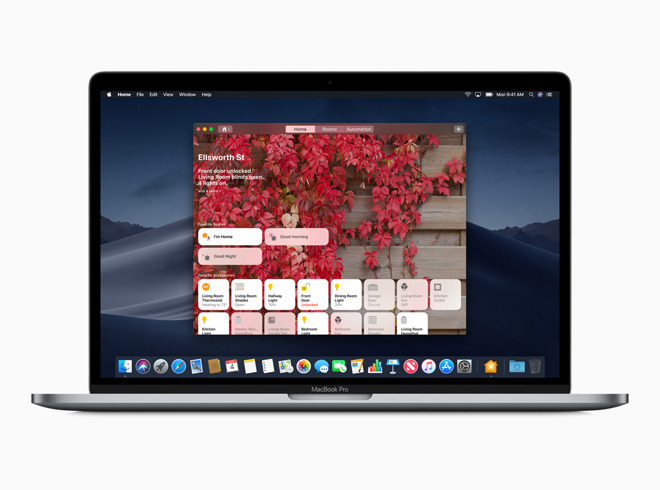 Other additions include FaceTime multiple-user calls, font collections, improved hard drive performance, Voice Memos, OpenType-SVG fonts, and Automator shortcuts in Touch Bar.